I have gleaned so much wisdom from John Kotter’s scholarly writing over the years, and I also enjoy when someone can tell a compelling fable. In Our Iceberg Is Melting, I got the best of both of these! 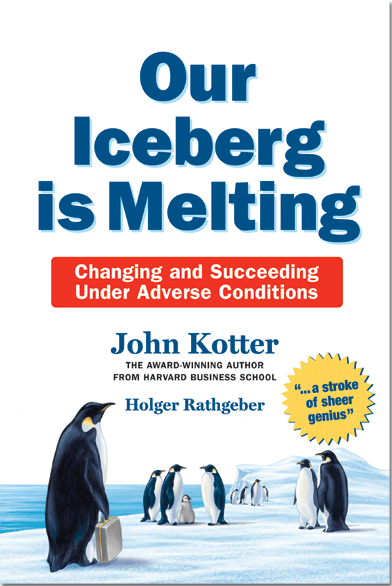 John Kotter has written and taught extensively from Harvard Business School. His work on corporate culture, especially the area of changing corporate culture, is always spot-on. But sometimes people find academics a bit too “dry” to even read their work. So Dr. Kotter collaborated with Holger Rathgeber to create a fable that anyone can read. In Our Iceberg Is Melting, we meet some penguins living on an iceberg that is about to break apart. Only one penguin recognizes the imminent danger at first, but this begins a series of conversations about the changes the penguin colony must confront. As you might imagine, there are some naysayers, some go-getters without a lot of information, some academics with a lot of information but not much drive, and a bunch of penguins who are totally apathetic. All in all, this accurately describes for too many organizations! Buried in this fable is a treasure-trove of helpful ideas for how to successfully navigate change in whatever organization you may be involved. If you are a part of a leadership team, reading this book together will, I am certain, open the door for some meaningful and productive conversations. It’s a book that can be read in just an afternoon, but the conversations and treasure mining will take weeks! I highly recommend this book for anyone wanting to stay ahead of needed corporate changes. Finding the right person to promote in your organization can be one of the most crucial decisions a leader has to make. It’s hard enough when the organization is a profit-driven one, but the stakes get elevated when a faith-based ministry is considering the eternal ramifications of its success. 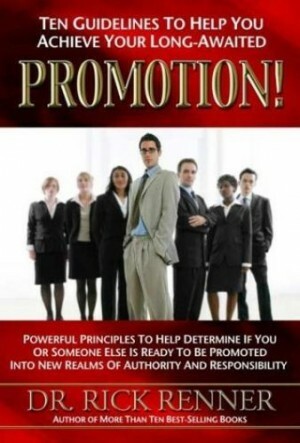 A book chock-full of helpful advice for making the right personnel decisions is Promotion by Rick Renner. Rick is a successful pastor and ministry leader. He shares through his personal examples—both successful and not so successful—the principles he has learned. He is quick to point out that these principles are not because some people are more valuable than others, but because some people are ready for more responsibility and others are not. His list of promotion principles will help you, regardless of the type of organization you lead. I found the scriptural principles Rick shared to be right on target, though I thought he tried to put too fine of a point on a few of them. In other words, some of his ideals are so high that hardly anyone may quality for promotion. I also found some of his personal stories to be a bit too much personal back-patting for my taste. Despite those two personal observations, I still found the material helpful. A big thanks to my brother-in-love for putting this book in my hands. 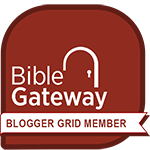 As a parent of young children, I really appreciated the biblical values delivered in a fun way through so many VeggieTales videos. 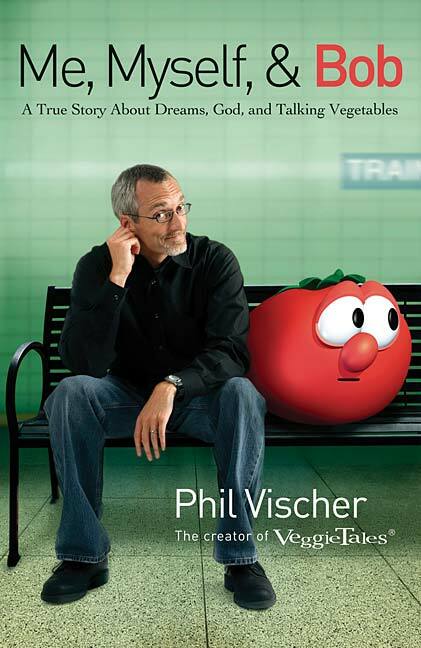 Now I’m really appreciating the wisdom of VeggieTales creator Phil Vischer in his book Me, Myself & Bob. Written in the same witty style that made the VeggieTales videos so engaging, Me, Myself & Bob leads us through the meteoric rise and sudden collapse of Big Idea Productions. We read about the passion that drove the start of this incredible vision, and how — as the Bible says – zeal without a foundation of wisdom is a dangerous thing. With such candor, Phil shares about the vision and talents God gave him to do something so groundbreaking, how others caught that vision and jumped on board to help, and then how the company sort of took on a life of its own and how corporate executives took this highly successful business in a direction Phil never imagined. This book is more like a business strategy book told as Phil Vischer’s autobiography. From the business board room to the family living room, there are valuable lessons to be learned from the rise and fall of VeggieTales. So whether you’re a fan of Bob the Tomato & Larry the Cucumber, an entrepreneur, or a parent, you will find something to love about Me, Myself & Bob. 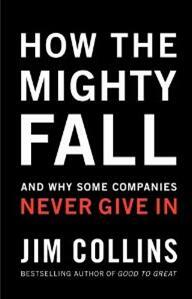 This is the third in the series of books from Dr. Jim Collins: Built To Last, Good To Great, and now How The Mighty Fall. This is a book that Dr. Collins wished he didn’t have to write, as he uncovers the markers that contributed to the failure of once-great companies. If you are a frequent reader of my blog, you’re probably wondering why I’m reading/reviewing a business book. The answer is simple: the principles Jim Collins uncovers in his books are rock-solid principles of success and failure, regardless of the organization in which they are practiced or ignored. 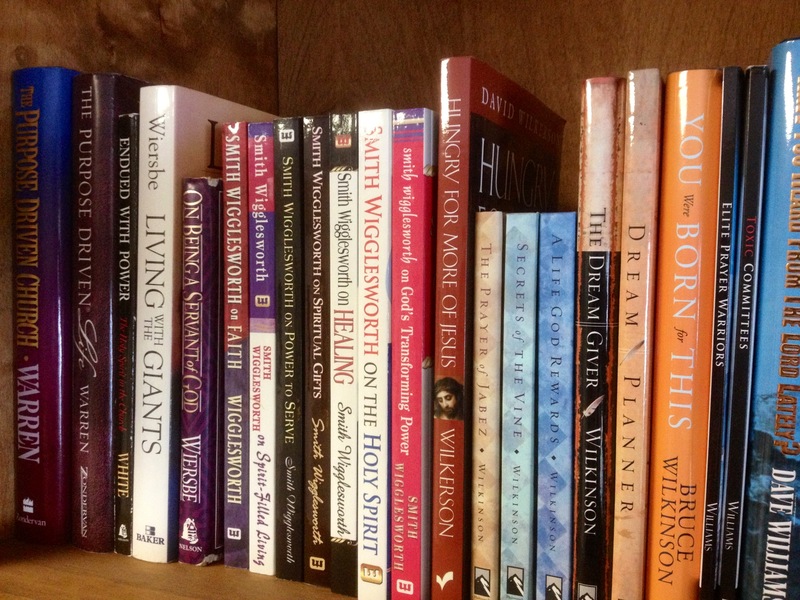 In all three of his books, I have mined so many great truths to apply to my personal life, as well as the organizations I lead. There is so much to like about Lead Like Ike by Geoff Loftus! If you like military history, you will love the narrative of the strategies and implementation that Dwight D. Eisenhower – or “Ike” – oversaw. It is an amazing recounting of how Ike had to balance so many pressures from not only the Germans, but within his own ranks as well, to lead the Allies to victory in Europe during World War II. If you like business strategies, you will enjoy the way Loftus renames the military build-up in Europe during WWII “D-Day Inc.,” and assigns titles like Board of Directors, CEO, C-level staff, and competitors to the battles in Operation Torch, Operation Overlord, the Battle of the Bulge and others. You will see how Ike functioned as an effective CEO to lead D-Day Inc. in their head-to-head challenges with their German competition. And if you like biographies about strong leaders, you will see the incredible leadership principles that Ike employed in his personal life and in his military career. You will see a man firmly fixed on his goal, but also a man who felt deeply about the individual soldier, sailor and airman under his command. 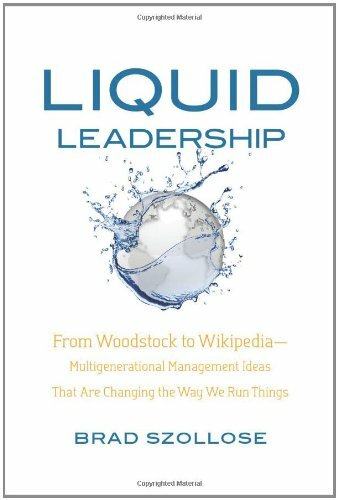 Sprinkled throughout the book (and summed up nicely at the end of each chapter) are strategies for success, implementation plans, and tips for personnel management. The only thing that disappointed my about this book was that it came to an end! I thoroughly enjoyed it, and I believe you will too. I give it five-out-of-five stars.